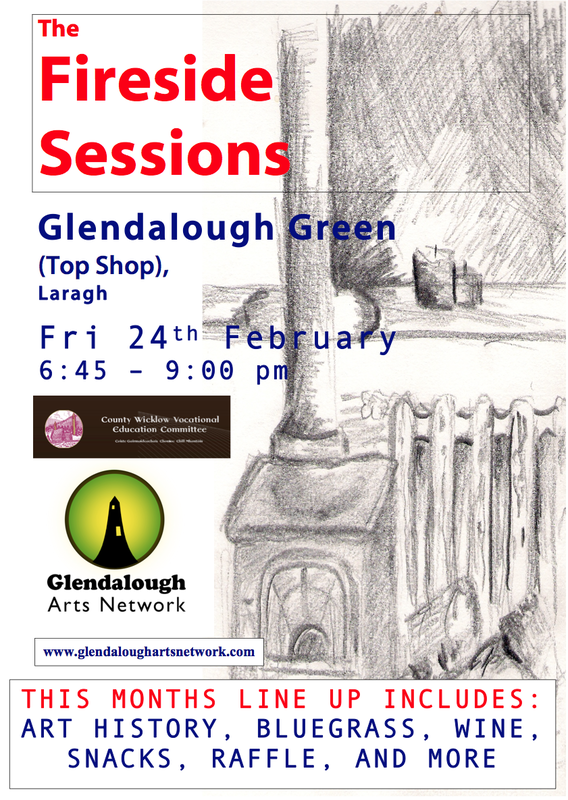 Delighted to confirm this months famous Fireside Sessions will be going ahead this Friday 24th in Glendalough Green, Laragh. Kick Off 6:45. Jessica Fahy will be taking over the reigns this month, with an Art theme that is sure to rock your boat. We will also be featuring a special Bluegrass band from Dublin, a Raffle, with the usual snacks and wine to round off what is shaping up to be another great night out in a cosy atmosphere.